We hear the people talk — after dropping the Seinfeld and Fresh Prince Complete Sneaker Guides earlier this year, we decided it was about time to pay homage to Martin Lawrence, who held down quite the successful mid-'90s sitcom of his own. We got it all documented: five seasons, 132 episodes, countless insults to Pam, a few break-ups and make-ups with Gina, and too damn much bare midriff from Sheneneh. In between all that, Martin was working with some classics and a few shoes you may have forgotten about — either way, we have a full breakdown of Martin Payne's kicks. 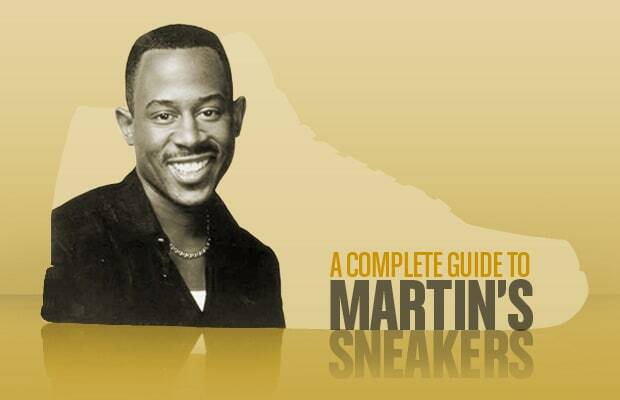 Click the gallery to check out A Complete Guide to Martin's Sneakers.